A fool's review by the other chap. Shimano prefer alloy because it's as hardwearing as butter and thus wears out in a tenth the time it take to wear out a steel ring, going by my 30 years of experience using them all. Buy steel if you have any sense. This is a good one. 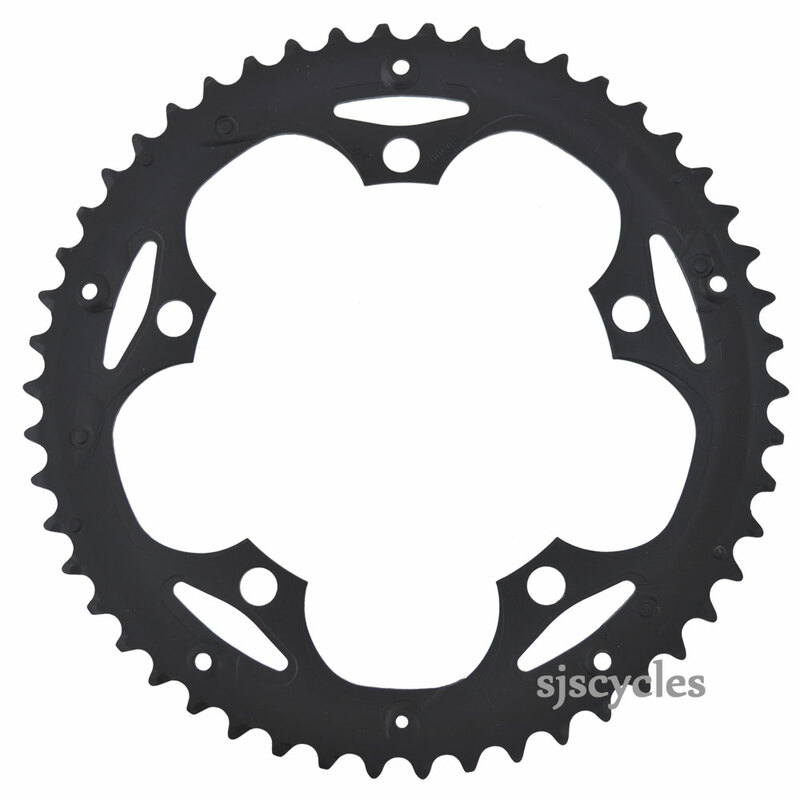 because : This product unlike higher end shimano chainrings is not made of the commonly used chainring material alloy but is made of some kind of heavyweight (chro-mo) steel. And SJS did not mentioned this in item decription.